Containment Protocols: RPC-208 is to be kept in an aquarium connected to the Pacific Ocean. Water is to be circulated through the containment chamber to provide RPC-208 with its natural food source (waterborne detritus) and filtered to prevent RPC-208 from spreading. Additionally RPC-208 is to be kept between the masses of 10 kg. and 15 kg. In the event RPC-208's weight exceeds 15 kg, excess biomass is to be immediately trimmed by an automated saw; all excised material is to be retrieved by an Authority agent and incinerated. Personnel assigned to RPC-208 must submit to monthly psychiatric evaluations. In the event any personnel exhibit remorse during the removal of RPC-208's biomass, they are to be immediately transferred to a separate assignment. 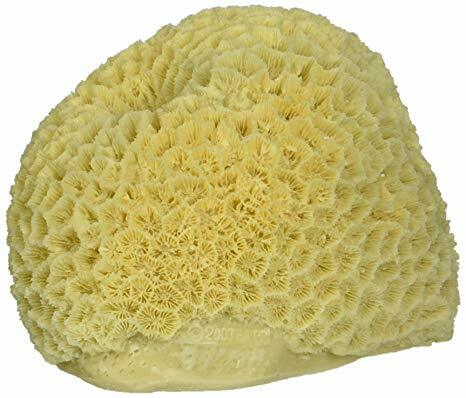 Description: RPC-208 appears to be a normal coral similar to Platygyra with a brighter yellow pigment. RPC-208 manifests anomalous abilities when it grows larger than 10 kg. At about 10 kg. RPC-208 gains the ability to speak telepathically. RPC-208 will use this ability to engage in conversation with anyone in its immediate vicinity. RPC-208 will then attempt to persuade all humans to leave and barring that, allow it to grow larger. At about 15 kg. RPC-208 will gain the ability to telekinetically manipulate its environment to suit its and other wildlife's needs. This includes changing the topography to allow for easier spread of RPC-208 and providing crevices for marine life. If separated from the main mass, portions of RPC-208 will exhibit autonomous cognitive abilities; however, this is dependent on its overall size. Said portions will continue to grow independently and gradually increase their cognitive capacity. Recovery log: RPC-208 was located near ████ island following various reports detailing disembodied voices within the coastal waters. Initial contact was made between RPC-208 and MST-█████-27. During the recovery operation, MST personnel exhibited notable difficulty in containing the entirety of RPC-208. Since RPC-208 appeared to have recognized or acknowledged said personnel as potential threats and proceeded to attack, resulting in multiple casualties. [See Incident Report 208-1]. RPC-208 was then approached by a negotiator who explained the situation to RPC-208. RPC-208 was told it would have to undergo experiments and have its total size reduced to a manageable level. In exchange, it would have access to the ocean and its life. RPC-208 agrees to terms stated. Incident Report 208-1: Immediately after an agent offhandedly commented about how hard it would be to contain a whole coral reef, RPC-208 lashed out with telekinetic force, crushing the agent nearest to it's chest cavity. Agents who were further away were only blasted back by the force. In one instance, an agent near the surface of the water was thrown out of the water and back onto the boat they had been diving from. Experiment summary: RPC-208 allowed to grow to 20 Kg. then cut in two. [Now designated RPC-208-a and RPC-208-b] Subjects placed approximately 3 cm. apart. 1:37 PM: Subjects placed next to each other in containment chamber. 1:38 PM: Growths start to form on the sides of RPC-208-a and -b towards each other. Note: The ends of these growths appeared a vibrant green as opposed to the normal yellow of RPC-208 subjects. 1:41 PM: As the growths touch, they fuse RPC-208-a and -b into one entity [Now designated RPC-208] which begins talking to researchers. Subject: "What was the point of that? I could have just told you what I would do. Experiment Conclusion: RPC-208 subjects are able to combine to form larger subjects. Additionally, Researcher █████ administered amnestics and reassigned. Experiment summary: RPC-208 allowed to grow to 20 Kg. then cut in two. The two sections were then placed at opposite ends of the containment chamber. 11:45 AM: RPC-208 cut in two. 11:47 AM: RPC-208-a and RPC-208-b are placed at opposite ends of containment chamber. Note: RPC-208-a complained "loudly" during this process, but RPC-208-b remained silent. 11:48 AM: RPC-208-a ceases communication and sprouts seven nubs which continue growing for the next 27 minutes. 12:15 PM: RPC-208-a has ceased the growing of pseudo-pods and then picks itself up off the floor of the containment chamber. 12:15 PM: RPC-208-a walks on its pseudo-pods to RPC-208-b, sits down next to -b and then sticks two of its pseudo-pods into -b. Subjects are silent for several minutes. 12:17 PM: RPC-208-a and RPC-208-b fuse into one being [Now designated RPC-208] and begin talking. Subject: "Well that wasn't very nice of you. Do you know how hard it is to make legs?" Experiment Conclusion: RPC-208 is capable of underwater locomotion through the growth of leg like appendages, although it finds this process difficult and prefers not to. Experiment summary: RPC-208 allowed to grow to 20 Kg. then cut in two. [Now designated RPC-208-a and RPC-208-b] The two sections were then placed in separate containment chambers. 6:28 AM: Both subjects stay still, slowly growing. 6:56 AM: RPC-208-a begins changing shape into a sort of bowl with a protrusion in the middle. Blue dots begin forming in the bowl shape. 7:04 AM: RPC-208-b begins forming itself into a half-pipe shape approx. 2 cm. across and 3 cm. thick and 32 cm. long. The same blue dots from RPC-208-a begin forming inside the half-pipe shape. Note: The "half-pipe" shape is perpendicular to the wall of RPC-208-b's containment chamber. 7:21 AM The blue dots in the bowl shape of RPC-208-a lengthen into lines going from the "edge" of the bowl to the center protrusion. 7:30 AM The blue dots in the half-pipe of RPC-208-b lengthen into lines going the length of it. 7:31 AM Both samples of RPC-208-M begin pulsing, emitting both light and small amounts of gamma radiation. 7:32 AM RPC-208-a emits a flash of light and its sample of RPC-208-M disappears. 7:33 AM A torus shape of RPC-208-M identical to that of RPC-208-a appears in the water above RPC-208-b, this sample of -M is then absorbed by the growing rod created by -b. 7:33 AM RPC-208-b "fires" again, deepening the hole another 4 cm. 7:33 AM Both subjects begin to "recharge" before firing twice again. 8:21 AM Before piercing all the way through the wall, RPC-208-b shifts the the left and begins widening the hole. 8:21 AM - 12:56 PM RPC-208-a and -b continue this behavior until the hole in the wall is wide enough for RPC-208-b to fit through, and the rest of the wall at the far end is thin enough to punch through. 1:05 PM RPC-208-b breaches containment by firing at the wall, puncturing it. The water flowing out widened the hole enough to get -b through and the current generated picked -b up and carried it through. Subject -b: Aw, really? I was so close. Experiment Conclusion: RPC-208 subjects will go to great length to reunite with each other. RPC-208 object containment rating raised from Alpha to Beta. Projectile Hazard added to hazard list. Further study into the psychic "gun" manifested by RPC-208-b required.